In 1900, the city that we know today as Brussels was divided into small towns that surrounded its historic centre. Ixelles/Elsene, Forest/Voorst, Uccle/Ukkel and Saint Gilles/Sint Gillis (depending on their French or Flemish names) were gradually occupied as residential suburbs from the middle of the 19th century, when the city began to grow beyond its walls. 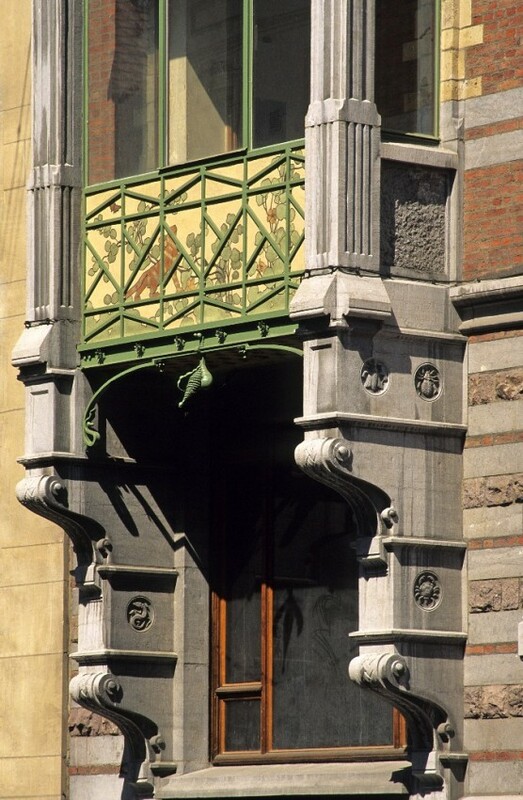 While Brussels' historic centre maintained its original architectural character, most of the "modern" buildings, in terms of being academically or Art Nouveau inspired, can be found in these neighbourhoods. Saint Gilles, south of the capital, was a residential neighbourhood with a well-to-do middle-class who built solid residential blocks that were normally single-dwelling houses. It urban identity was also conditioned by the fact that it contains the Gare du Midi, or south train station, the city's international transport centre. Saint Gilles' most typical building is Victor Horta's house and studio, built by Horta himself between 1898 and 1901 and now housing the Horta Museum. Located at Rue Américaine 25, it gathers together an important collection of the architect's furnishings and has become an important reseach and educational centre for Art Nouveau, with an important library. The neighbourhood also has another building designed by the architect, the Hôtel Winssinger (1894-1897), at Rue de Hôtel de Monnaies 66, and built by the engineer with the same name. 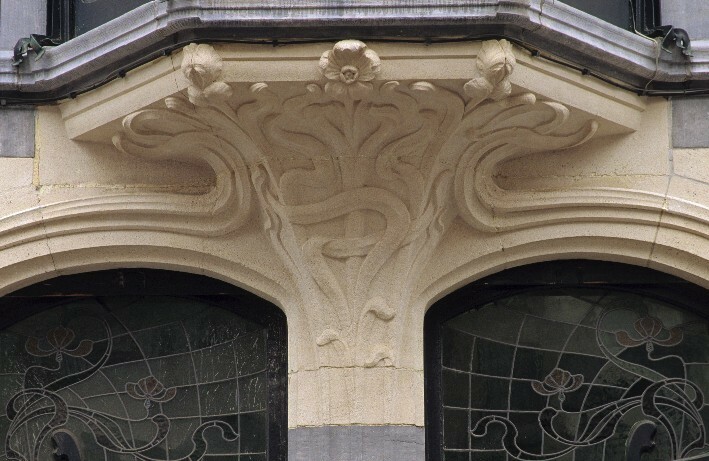 Paul Hankar, another Belgian Art Nouveau creator, also left some works behind in Saint Gilles. 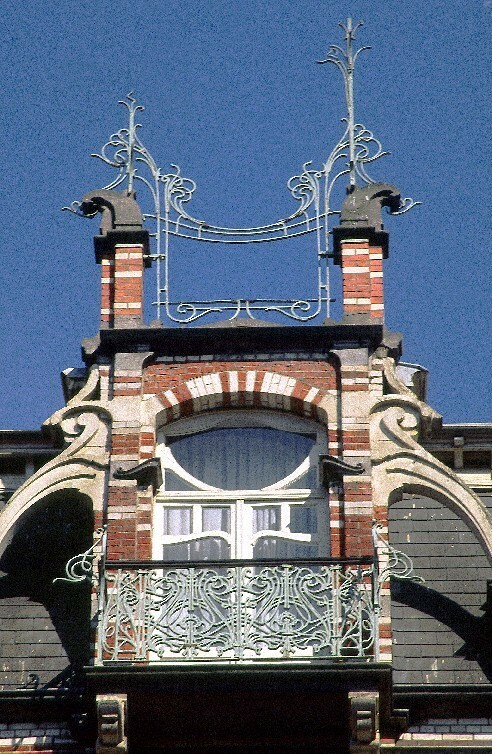 The most important one being his own house (1893), at Rue Defacqz 71, which can be considered to be an expression of the new style. It is an exposed brick construction highlighted by sgraffito designs by Adolphe Crespin. Hankar designed four more houses in Saint Gilles. It is also worth mentioning the Hôtel Hannon (1902), now the Photography Museum, at Avenue de la Jonction 1, a single-dwelling corner house with an overhanging double gallery. The designer was the architect Jules Brunfaut and it was his only Art Nouveau creation. 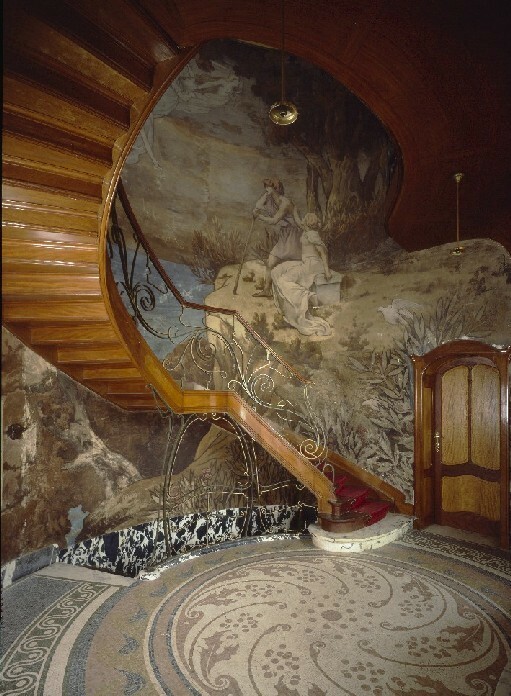 The interior design work, since disappeared, was by the great masters of the Nancy School, Émile Gallé and Louis Majorelle.